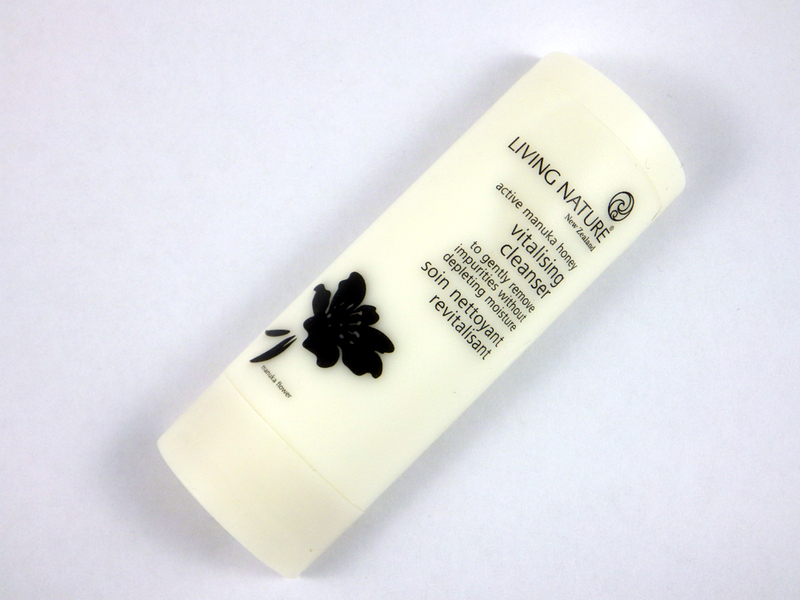 The Vitalising Cleanser is the second product I've tried by New Zealand brand Living Nature; I also have their Lip Balm, which you can read my review of here. The Vitalising Cleanser is described by Living Nature as "A creamy cleanser to gently remove all traces of make-up and impurities without stripping your skin of protective oils". It is described as being suitable for normal to dry, mature and sensitive skins. It contains ingredients like Manuka Honey (moisturising and antimicrobal), Kumerahou (naturally cleansing) and Avocado Oil (moisturising with regenerative and anti-aging properties). My small gripe with their Lip Balm was that Manuka Honey was at the end of the ingredients list when it was marketed on the front of the product. Manuka Honey is also mentioned on the front of the Vitalising Cleanser, but this time its halfway through the entire list, which is better as you see more benefits of the ingredient. The full size of 100ml costs £21.00 (I've been using the travel size 50ml). I've been using the Living Nature Vitalising Cleanser as my first cleanse at night and as my morning cleanser for about a month now. The formula is certainly creamy in texture but more milky in consistency, making it feel light and soothing on the skin. It removes my makeup with ease, including my eye makeup (big novelty for me) and wipes away easily whether using a flannel or just water. It leaves my skin feeling soft and looking fresh, re-balanced and just downright healthy. 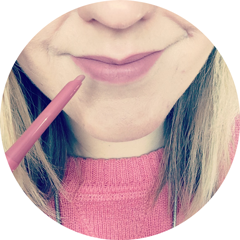 I have combination skin with an oily t-zone and dry to normal cheeks, so although the Vitalising Cleanser isn't quite marketed at this skin type, my skin responds so, so well to it. It also has a light, natural scent, which is lovely and fresh too. The Living Nature Vitalising Cleanser is just a fantastic all rounder in my opinion and I think would be suitable for any skin type. It's light enough to use in the morning for a bright, fresh face, but creamy enough to use in the evening to remove all traces of makeup and grime ready for a second cleanse. I'll be sad to see the end of this bottle and will look to buy the full size when it's empty. Living Nature products can be purchased from the website Naturismo here. Have you ever tried the Living Nature Vitalising Cleanser? What are your favourite cream or milk cleansers? I wouldn't usually pay a lot of money for skin care products, but I would try this as it's all natural. This sounds so lovely. I've just brought a manunka honey face cream so this would be perfect with it!